N. Leroy Smith is a Partner in the firm’s Litigation practice group in The Bahamas. Leroy is a seasoned litigator and accredited mediator with an active practice strategically focused on complex trust and estate advice and litigation, and commercial law. 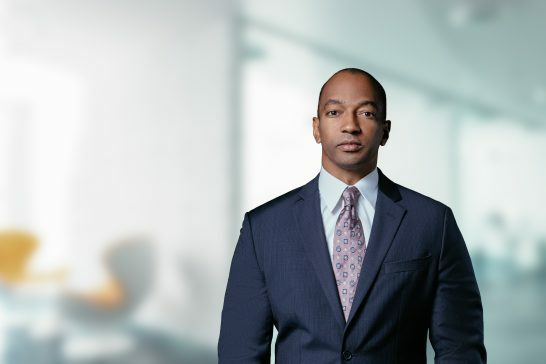 In his trust and estate practice, Leroy advises fiduciaries and private clients in all aspects of Bahamas trust law, with particular emphasis on the drafting and administration of Bahamian trusts. His commercial practice involves a broad spectrum of substantive areas, including contentious and non-contentious commercial matters (claims for breach of contract, directors’ and shareholders’ disputes and asset-tracing and recovery matters), telecommunications law and maritime law. He also regularly represents local and international companies and insurers in relation to a range of personal injury, defamation and other tort-based claims. In 1998, Leroy obtained an LL.B. (Hons.) from the University of Southampton and was called to the Bar of England and Wales and to the Bahamas Bar. He subsequently earned an LL.M. in Corporate and Commercial Law from the University College of London. He joined Higgs & Johnson in 2000. Leroy has contributed to Tolley’s International Succession Laws (Tolley, 2005) and has sat on the editorial board for the firm’s client publication, FOCUS. In June 2006 he earned the Advanced Certificate in Company Law and Practice by STEP. In March 2012, he was accredited by the London School of Mediation as a Civil and Commercial Mediator.